A one-of-a-kind lamp for a beautiful little girl. 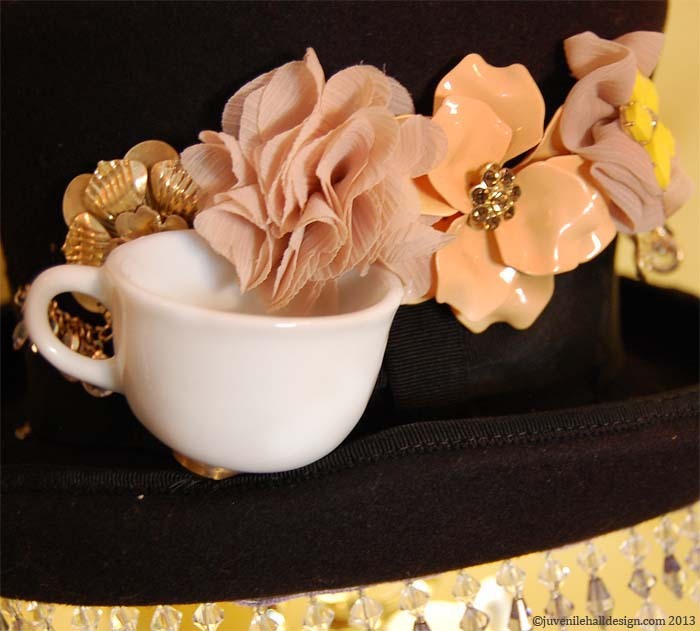 Putting On My Top Hat…Lamp? 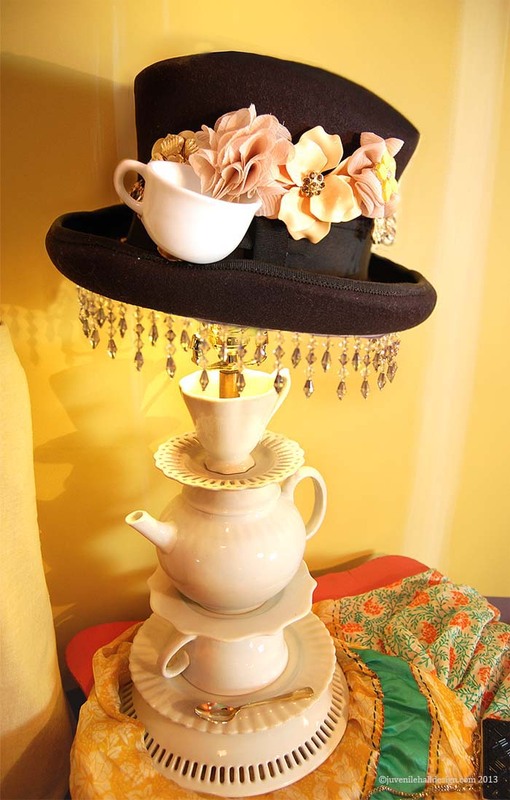 This is a lamp Alice in Wonderland or any little girl would be proud to have a tea party by. This lamp, which is reminiscent of Alice in Wonderland imagery, is an original made by combining a few easy to find elements. The base of the lamp itself, the tea set, is a base from the lovely and romantic store Anthropologie. The shade was made from a hat from a costume shop that I sewed on to the metal base of an inexpensive shade I picked up at Target. If you attempt this at home, be sure to cut a hole out of the top for the heat to escape. 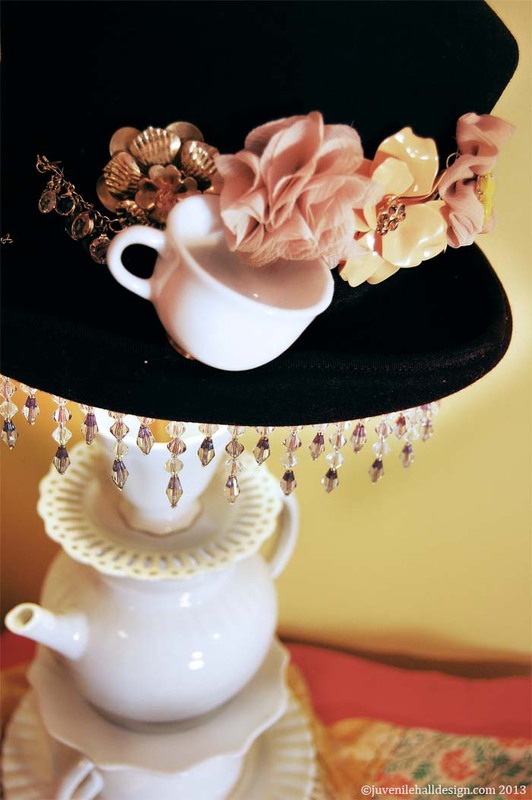 Then I sewed on a beautiful necklace and the top teacup finial from the lamp base. A final touch was gluing on the crystal trim along with placing a small golden spoon on one of the plates. A one-of-a-kind for any lucky girls who dreams of jumping down a rabbit hole. Posted in girls, lighting and tagged with lighting, lamp, hat. April 8, 2013 by Ellen Mattesi.